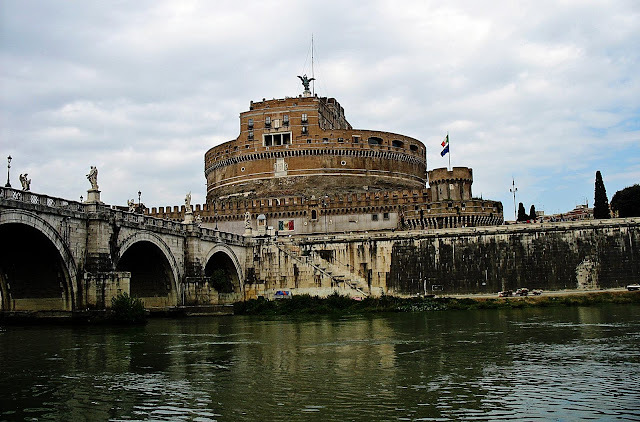 These are photographs of the Mausoleum of Hadrian or the "Castel Sant'Angelo". It is a cylindrical building in Rome. 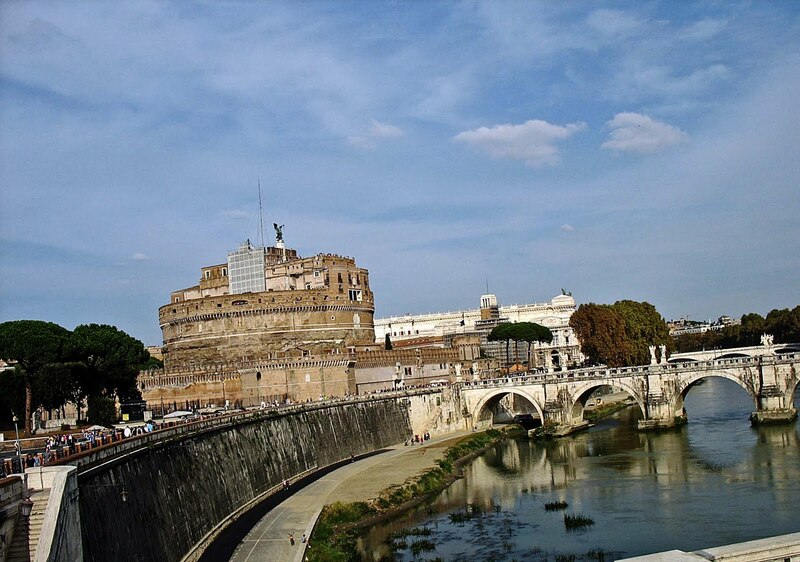 It was built by the Roman Emperor Hadrian as a castle to live in for himself and his family. The castle was later used by the popes as a fortress and castle, and is now a museum. It is a popular tourist attraction. The statue at the top of the castle is that of an angel, after which the castle is named. 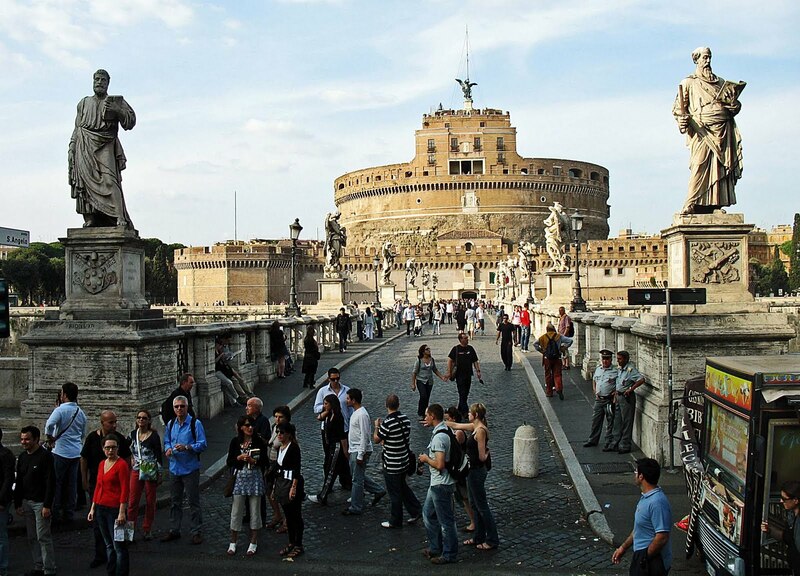 Here you can see tourists milling around the castle in Rome. The two statues at the gates of the castle are visible in the photograph. More statues line the pathway to the entrance. This is the front view. The first two statues are of Roman personages. 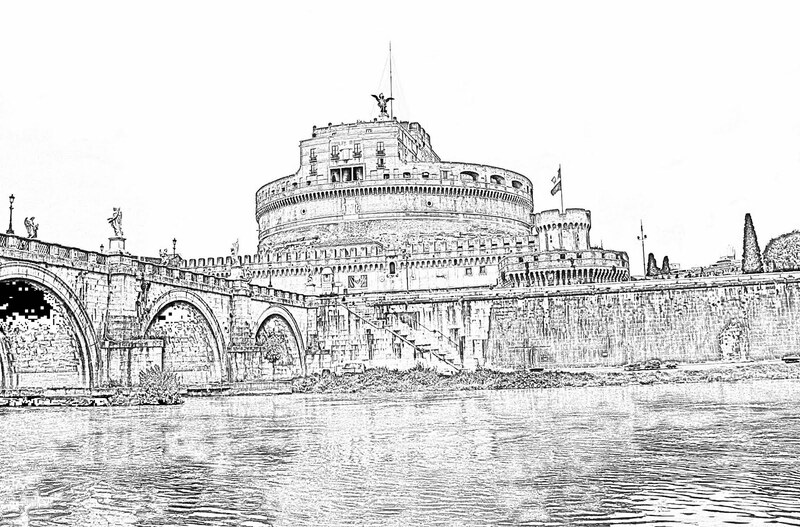 This is a sketch of the Roman castle or the Mausoleum of Hadrian from the canal side.